Imagine Jane Austen Regency romance, with all its pomp and circumstance, mixed with Buffy the Vampire Slayer style paranormal creatures and secret societies set up to battle the secret forces of evil right under the noses of society. What you have is Alison Goodman’s The Dark Days Club, a novel which I didn’t know I needed but I should have been able to guess given that it’s a bizarre but fitting combination of everything I love in this world. It’s 1812, it’s London, and young Lady Helen Wrexhall is about to be presented to the court of King George III. Living under the shady shadow of her mother’s reputation (the word ‘treason’ is whispered everywhere she goes), Lady Helen tries to be the best society lady she can be, including dancing, wearing gowns, and securing a suitable marriage to an upstanding Duke or Count. That is, until one of her family’s servants disappears in strange circumstances and, in the search for her, Lady Helen stumbles into a darker world she hadn’t realised co-existed alongside respectable Regency society. Lady Helen is the perfect heroine – she’s smart, she’s sassy, she has an appropriate response to hearing there might be a secret underground world of paranormal creatures living right under everyone’s noses in Regency London. Which is to say, she isn’t just blindly accepting of her alleged fate but questions it, and the world she is inadvertently dragged into during the course of the story. Her interactions with her aunt, uncle, and even her maid prove to illustrate a complex character which Goodman will undoubtedly develop even further over the course of the Lady Helen series. Another interesting dynamic occurs in the relationships with characters who could otherwise be minor characters in the larger tale. For example, Helen and her lady’s maid Darby have a close-knit relationship past the usual lady-and-household-staff dynamic, something which is reminiscent of Lady Mary and Anna from Downton Abbey. I appreciate this kind of friendship within period drama pieces as it would be all too easy to only present the ‘upstairs’ story line with none of the ‘downstairs’ action, but pleasingly The Dark Days Club has Lady Helen almost scandalously caring for the well-being of her household’s staff. Then, of course, we have the proverbial Mr Darcy of the piece, in the form of one Lord Carlston. Enigmatic and mysterious, he is Mr Darcy but with actual darkness in his past, because tall, dark and brooding, always causing a sudden bout of whispering when he dares to show up at a social gathering, Lord William Standfield, Earl of Carlston, is a man whose reputation proceeds him… and not necessarily in a good way. A tad disdainful of society and not quite respectable, his name carries with it status, true enough, but also gossip about potentially scandalous proclivities and involvement in a touch of treason. He can play the game of society if he must, but his brusque manner and reputation prevents him from truly charming an assembly as he otherwise might. And, of course, our heroine Lady Helen has more than a couple of brushes with this dangerous Earl, it’s downright obligatory within your typical Regency romance so The Dark Days Club doesn’t disappoint there either, and neither does Carlston. He’s intelligent, witty, guarded, and just secretive enough for you to be just as unnerved but intrigued as Helen herself is. I was caught, hook, line, and sinker. There’s also a letter – and I won’t give its contents away entirely but it borrows from the same school of thought of Austen’s heroes penning a revelatory letter to express all of their mushier feelings. Except it’s Carlston, so it’s not so mushy. The world building is ready-made, to an extent, because Goodman utilises the backdrop of early 19th century Regency London. 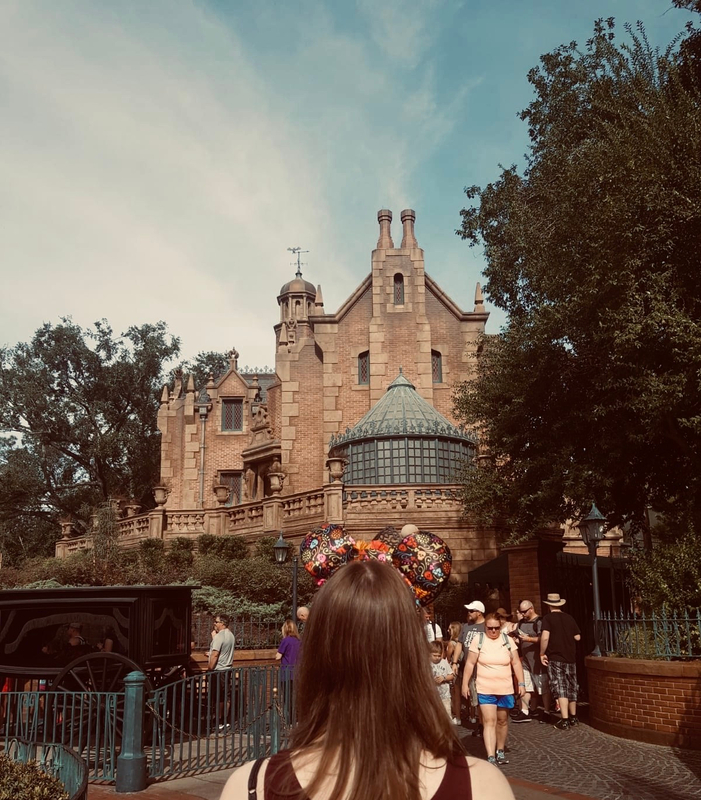 However, she also builds the idea of a covert level of society which exists alongside the cobbled streets and fancy houses, and we’re not just talking about brothels and gambling parlours or other altogether unsavoury places of ill repute. The paranormal element is weaved into the story nicely and the reader is introduced to the world of secret societies and demon hunting along with Lady Helen. 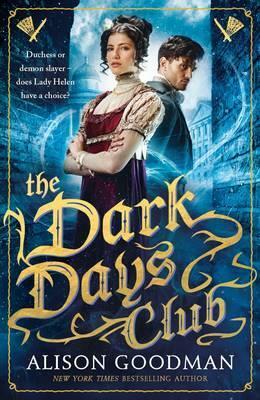 All in all, Alison Goodman’s The Dark Days Club succeeds in skillfully weaving all the accoutrements of a novel set during the Regency along with a more sinister underground world of the real London, complete with its secret societies dedicated to fighting demonic forces of evil so that the lords and ladies might continue their merriment unimpeded. After all, having to pause a quadrille in order to slay a demon amidst a society ball would rather ruin one’s impeccable reputation, as would having an energy-hungry demon feast on your party guests. Full of wit and action, The Dark Days Club doesn’t let up, drawing readers into this bizarre but thrilling world of Goodman’s Regency London and its dual battlegrounds of Society and society which make the perfect place for Lady Helen to learn how to fight for others and, most importantly, herself. “I do not believe easily, Lady Helen. You and I share a philosophical bent and, in particular, a respect for the evidence of our eyes. I have watched you discover your abilities and with them the knowledge of our hidden world. There is one other thing that I now firmly believe. Yay! Happy to see 5 out of 5! Anxious to read this one. I hope you also enjoy it when you read it!